Hand over the baton. If you’re the heart and soul behind your business it can be hard to delegate tasks. But it’s difficult for one person to be the backbone of the business whilst investigating opportunities for growth. That’s why it’s important to get trusted team members to take control of the day-to-day activities so that your time can be freed up to focus on growth strategies. Cash flow is king. To keep your cash flow strong it’s worth billing clients immediately rather than waiting to do a batch invoice. This makes it much easier to control the flow of money in and out of your business so you always know where you stand financially. Don’t forget your existing customers. It’s often tempting to think that the ultimate business nirvana is making a sale to a new customer, and many organisations are guilty of chalking up a new client success and moving on to find new prospects instead of focusing some effort on looking after existing clients. And this is despite the generally accepted notion that it’s much cheaper to retain existing clients than to acquire new ones. There’s a lot to be said for nurturing existing relationships with happy customers who have bought into your proposition. Existing, satisfied customers are a source of repeat purchases, upselling opportunities or endorsements, so shouldn’t be neglected. Don’t bite the hand that feeds you. The power of good relationships with your suppliers can’t be underestimated. Whilst the customer is king and organisations are constantly clamouring to keep customers happy, nothing will be achievable if your suppliers are neglected along the way. The same, but different. Try selling the same products to the same audiences, but in different ways. Online selling is the obvious choice for anyone who is selling a product or service that doesn’t necessarily need to be seen prior to purchase and can be easily delivered. But other products and services might require a more direct, personal approach, particularly where making a sale requires a person to buy into the seller or their technical expertise, in which case face-to-face sales at events might be an option. Keep up with the Jones’s. Have you considered all the different ways of marketing your business? Investigate what your competitors are doing to spread the word and decide which elements of their marketing activities are working best for them. Embrace the digital age. We’re living in an age where we expect everything we want to be available online, yet a 2015 report showed that 60% of the surveyed businesses (all with five employees or fewer) didn’t have websites, but that 70% of those businesses with an online presence were expecting their revenues to grow significantly in the next three to five years. And more and more businesses are seeing the benefit of using social media to engage with existing and potential customers, to build a community around the business and to gain insight into other products or services their following might be interested in. If you’ve got it, flaunt it. If you’re selling a product or service that requires customers to have faith in you as an expert in a given field, it can be beneficial to take part in targeted networking or offer to be a spokesperson on your specialist subject at relevant events. When you’ve got a product or service that’s selling well, but you want to increase your sales, why not look at selling the same products or services to target audiences in other markets? Doing business in other countries might sound daunting, but it needn’t be as overwhelming as it sounds. 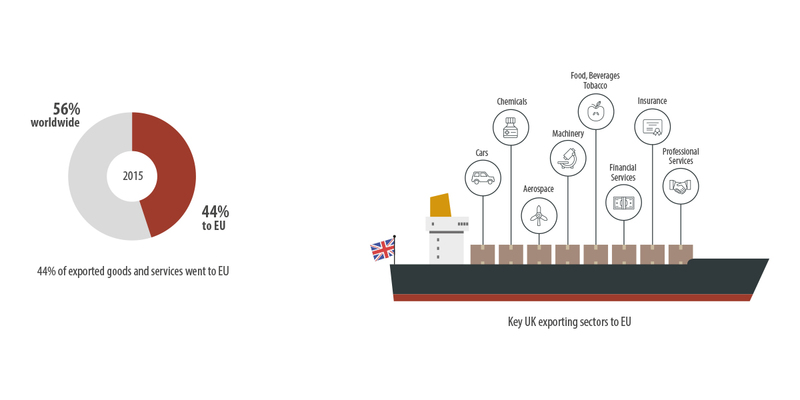 The United Kingdom is the ninth largest export economy in the world and whilst many exporters are large companies, that’s by no means the case for all - trading internationally can be profitable and easily achievable for organisations of all sizes. With increasingly open markets, the growth of the UK service sector (which accounted for almost 80 per cent of the UK economy in March 2016) and the increased use of online selling, it’s not just large corporations with fleets of trucks that can export. In fact, many are surprised to hear that anyone who has received an order from an overseas customer counts as an exporter, and these exporters can include a whole raft of different types of organisation.